Chester FC are delighted to announce a double loan swoop from National League side Salford City. 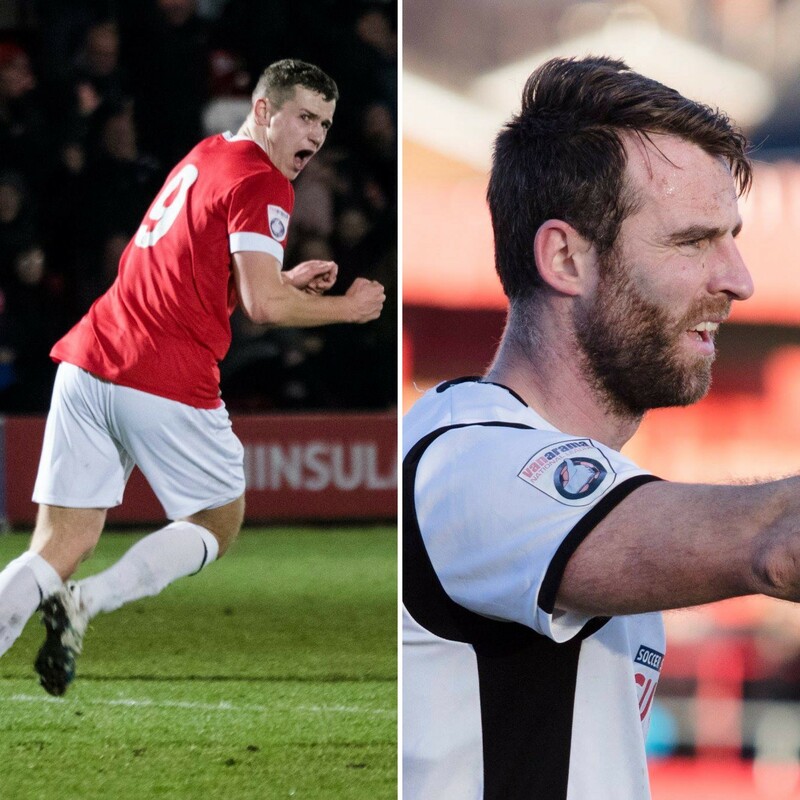 Defender Danny Livesey and striker Anthony Dudley arrive at the Swansway Chester Stadium on deals until the end of the season. 21-year-old Dudley scored 11 goals in 37 National League North appearances last term – striking at pivotal moments during the season – and will be an important part of the 2018-19 campaign. He came through the youth ranks at Bolton and then Bury – and made his debut for the latter as a 17-year-old against Burton Albion. Anthony has also had successful National League loan spells with Guiseley and Macclesfield before a permanent switch to Salford last summer playing an integral part in Salford promotion campaign. 33-year-old Livesey adds further experience to an already promising defensive line up – having made his senior debut for Bolton against Liverpool back in 2002. He’s won the National League North before and this season will be pushing for his 3rd promotion from this level in the last 4 years with Salford last season – and also Barrow in 2015 where he lined up alongside fellow Blue Simon Grand. Danny amassed almost 300 appearances for Carlisle United between 2004 and 2014. Joint Manager Anthony Johnson was thrilled to complete the double signing, and he said: “We’ve had both players on our radar as soon as we came to Chester. “For us it was a game of wait and see as we knew Salford City has their own ‘irons in the fire’ and we didn’t want to commit to other things when we knew these deals could potentially come off. “Anthony’s goals to starts ratio is as good as anyone’s and he scored some massive goals for us last season. Quick, strong, direct, can play with his back to goal and work in behind defenders and has a fantastic strike on him. “Danny is another very experienced player who has only ever known playing in teams that compete at the top end of leagues. “Former Captain of both Carlisle and Barrow who had a fantastic partnership with Simon Grand at both clubs too. Welcome to Chester FC, Anthony and Danny!